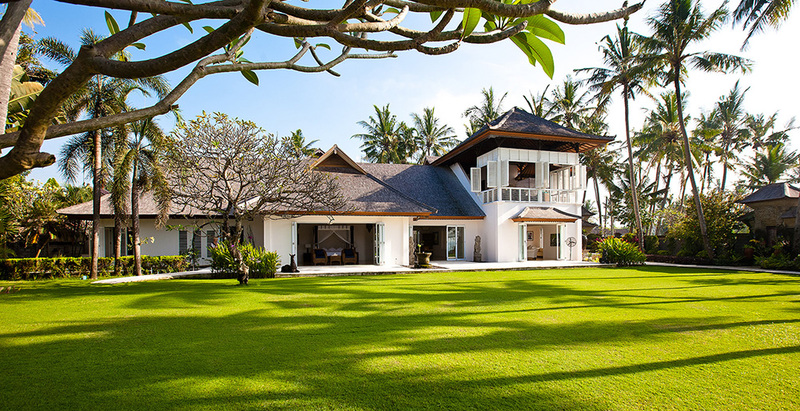 A 20-minute drive from Sanur on Bali’s south-eastern coast, the modern-meets-colonial-style Puri Nirwana enjoys fabulous sea views and direct access onto a black-sand surfing beach. The fully staffed villa can comfortably accommodate up to 20 guests in six large suites. There’s plenty of room for everyone to enjoy their own breathing space — multiple living areas, a media room, poolside gazebos and a dedicated spa. Picture-perfect for memorable family gatherings, special celebrations and intimate weddings, it will also appeal to guests with limited mobility; it has been designed to be wheelchair-friendly, with wide corridors and doors, garden ramps and even an elevator.